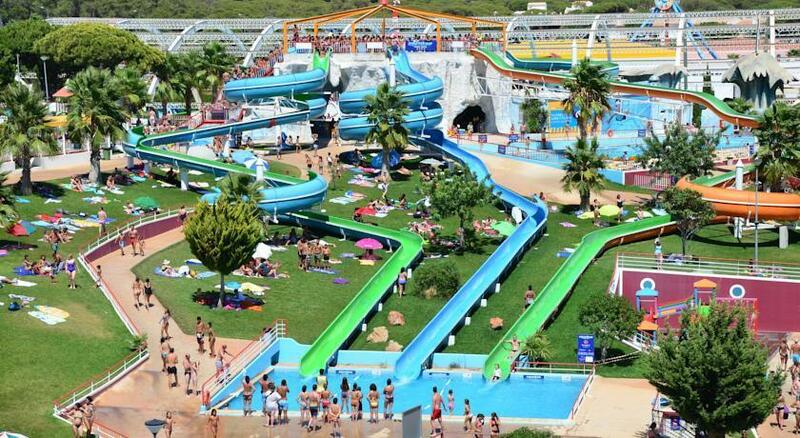 A visit to a waterpark can turn a great family holiday into a multitude of long-lasting memories. 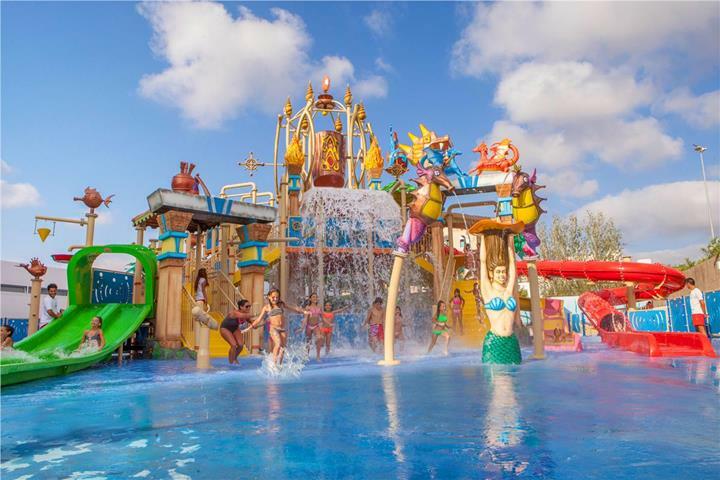 The only downside to waterparks, like all top attractions near popular family holiday destinations, is arranging the tickets and making the time for a day of water-based fun in the sun. That problem is now solved. 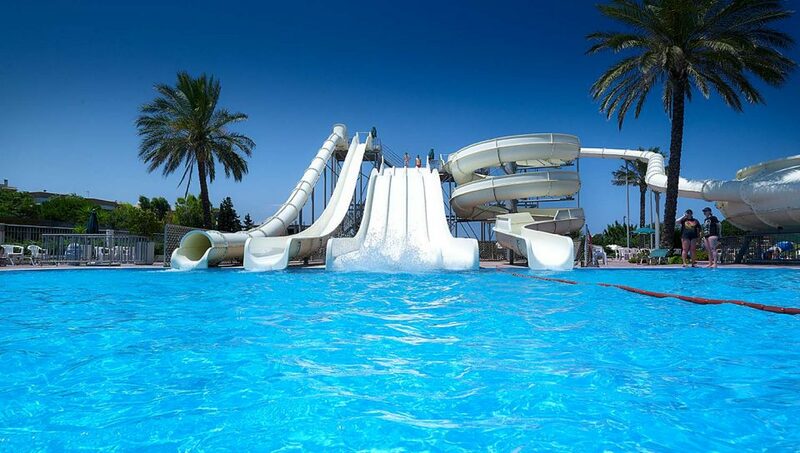 Many hotels boast their own waterparks, meaning the family can play all day without having to roam far! So, whether you’re travelling with the kids or fancy being a big kid yourself, we pick 10 of the best hotels with their own waterpark. BH Mallorca in Magaluf is a stunning 4-star resort complex that caters exclusively to adults and underwent a multi-million pound refurbishment in 2015. 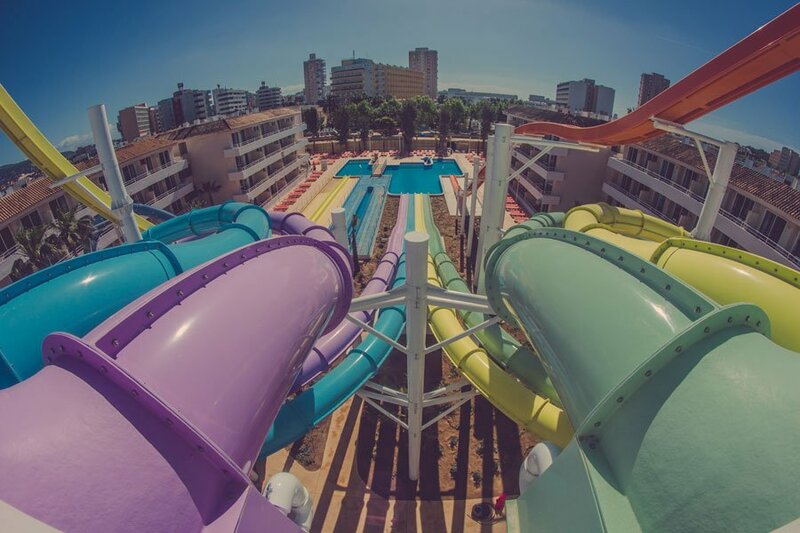 Located in the heart of Magaluf, BH Mallorca is 500 meters from a white sandy beach and boasts four swimming pools, an onsite waterpark as well as a wave pool, beach club and live concert arena where David Guetta, Rudimental and Jess Glynne have all played live sets. 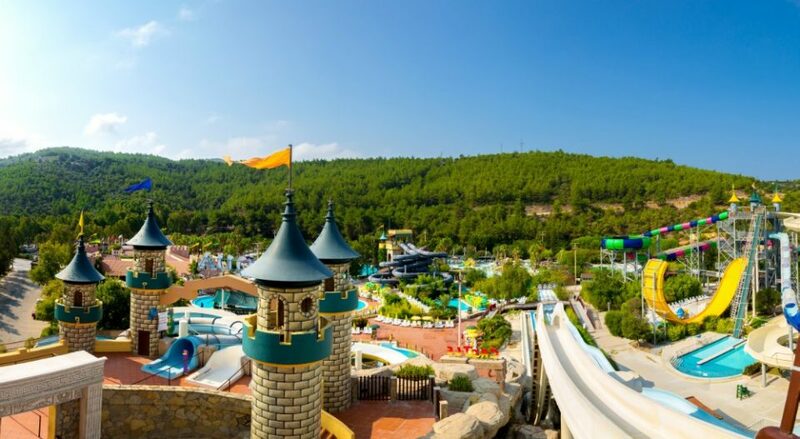 This 5-star hotel on the outskirts of resort town Kusadasi has its own waterpark within the resort, boasting 26 slides, a lazy river and a children’s play area. The hotel itself is on Pamucak Beach, which provides a tranquil and relaxing place to enjoy the sun, should you want a break from the waterpark. Those wishing to indulge themselves can also take advantage of the hotel’s spa facilities or chill out in the sauna and steam room. This hotel has something to please all the family! 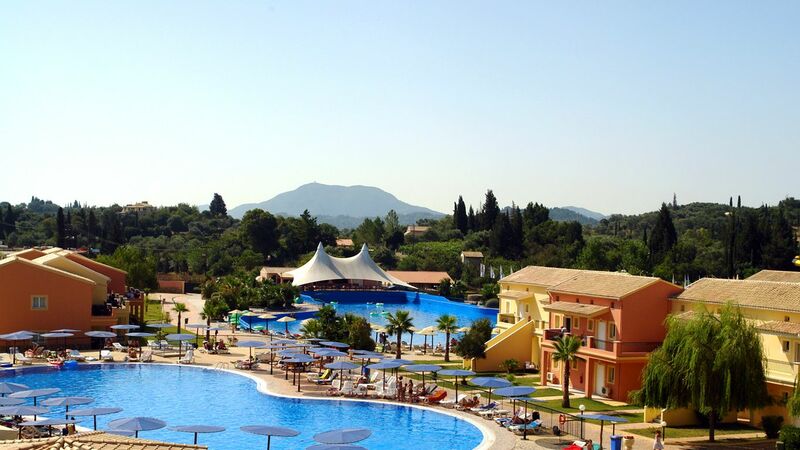 Agios Ioannis is a quiet and peaceful village surrounded by lush greenery, providing the perfect setting for Aqualand Resort Hotel’s magnificent waterpark. Situated next door to the hotel, the waterpark contains 38 slides, the world’s third largest wave pool and, for those who dare, a 24m high free-fall slide. Although the hotel is in a secluded area of Corfu, if you want to stray away from the park then guests can use the free shuttle bus to Corfu Town, which makes for a nice day out sightseeing. Once back at your hotel, remember to make the most of the peaceful setting and relaxing poolside views of its gorgeous surroundings – perfect to recharge yourself for another day at the waterpark! If you’re thinking of a family holiday to Orlando then the Coco Key Hotel is a great base for your break. On the ever-popular International Drive, the hotel offers a scheduled shuttle service to Universal Orlando Resort, Sea World, Aquatica and Wet ‘n Wild. 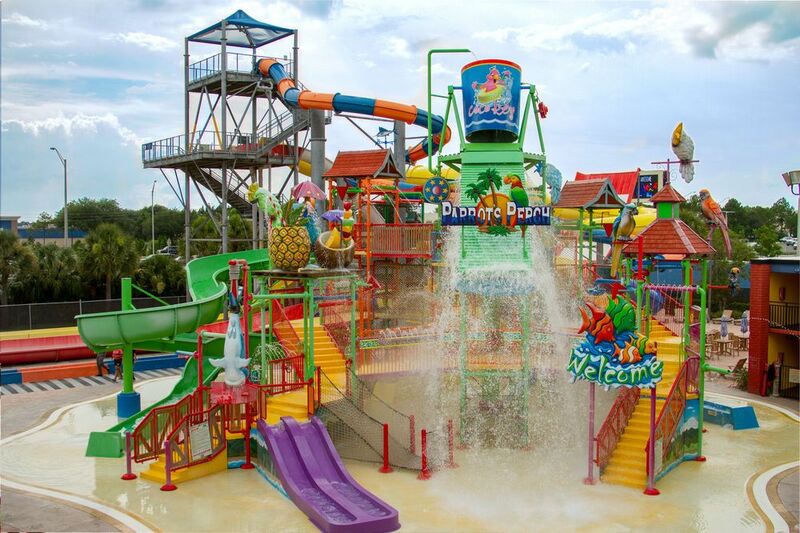 If you fancy a day off from exploring Orlando, Coco Key has its own waterpark with 14 slides, 3 heated pools, an interactive arcade and an area for smaller children. The 5-star Blue Bay Deluxe Complex Rhodes Waterpark is a luxury hotel on the seafront with the added bonus of its own huge waterpark. Guests can enjoy the rides and slides six days of the week. The hotel is set just a stone’s throw away from the beach which provides a peaceful escape from the excitement of the park. The Blue Bay Deluxe Complex is within close distance of the village of Lalyssos and is a short taxi ride into Rhodes Town, which has plenty to explore in terms of shops, restaurants and nightlife. For those who like to keep active there are some great sports facilities at the hotel, such as beach volleyball, basketball and tennis courts as well as a range of watersports. The Gran Garbi not only boasts its own fabulous waterpark, but also provides 4-star quality just a short stroll from the beach in Lloret de Mar. As well as a dedicated children’s pool with a cool set of slides and water jets, there is also a set of slides for the big kids and parents too! 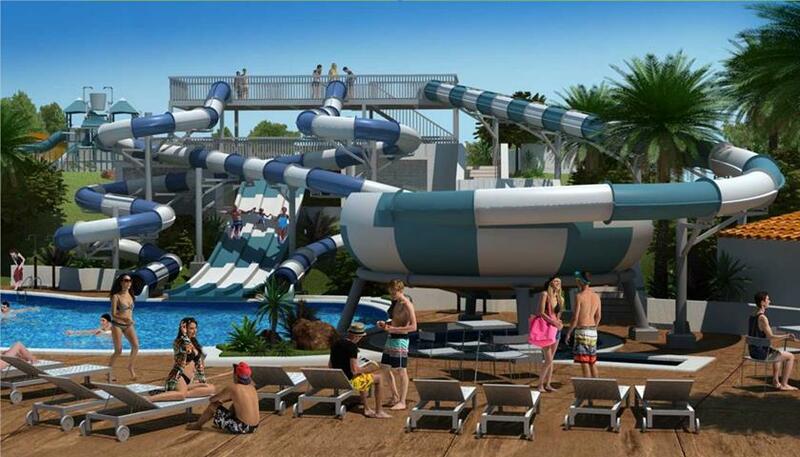 With 9-metre high slides and a whirlpool, you’re sure to make a splash – just remember to top up that sun cream! The Aquashow Park Hotel has a sleek, modern aesthetic and comfortable, stylish rooms. Every guest receives a complimentary pass to the incredible Aquashow Park, which is the biggest of its kind in the Algarve – and it’s on this hotel’s doorstep! Featuring huge slides, a wave pool and a lazy river, there are plenty of aquatic activities to keep you entertained for days! This quirky resort nestled on the coast of Terrasini boasts six swimming pools with water slides, and one of them has a very special twist. Make your way to the top of a series of slides to be plunged into pool after pool, until the final slide which will drop you into the sea! Città Del Mare translates from Italian to ‘City of the Sea’, and you’ll soon see why as the hotel offers a superb coastal view. 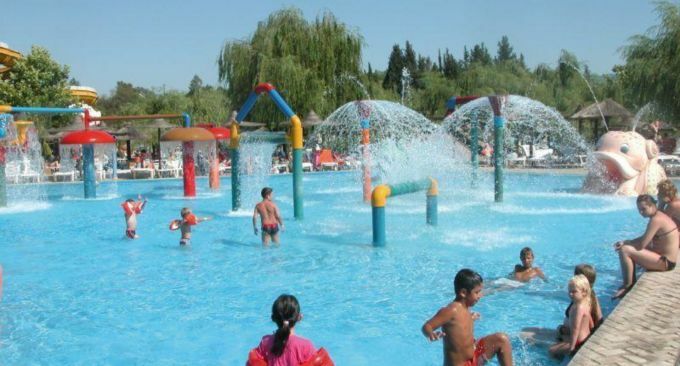 The Sol Katmandu Park & Resort combines a family holiday in the sun with a water park and theme park experience. All guests have unlimited access to the Katmandu Park, which not only features some great water slides and splash areas, but also has mini golf, a soft play area, a huge climbing frame, 4D cinema experience and much, much more! 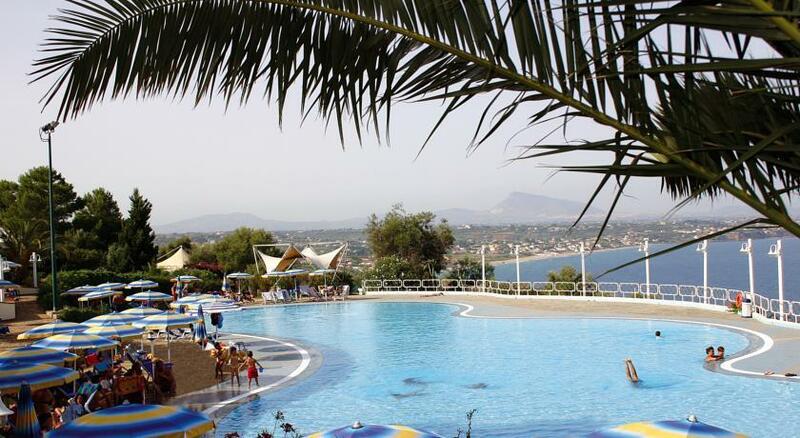 Located in a tranquil spot of Gouves village, within walking distance from the main sandy beach, the Gouves Waterpark is the perfect place for families to splash about in. The resort has four main outdoor pools, one used for sports and games and three for relaxation, and two children’s pools. Additionally, the waterpark has two spiral tubes and three straight fast lanes.